I really enjoy your art man. I think it would be cool if you drew a Jaime Reyes Blue Beetle. But looking forward to see you draw anything your art rocks. Ambush Bug and the classic Simonson Manhunter are two of my favorite DC characters, but I think your shadowplay would work particularly well with the hooded Damien Robin or the Jack Knight version of Starman. 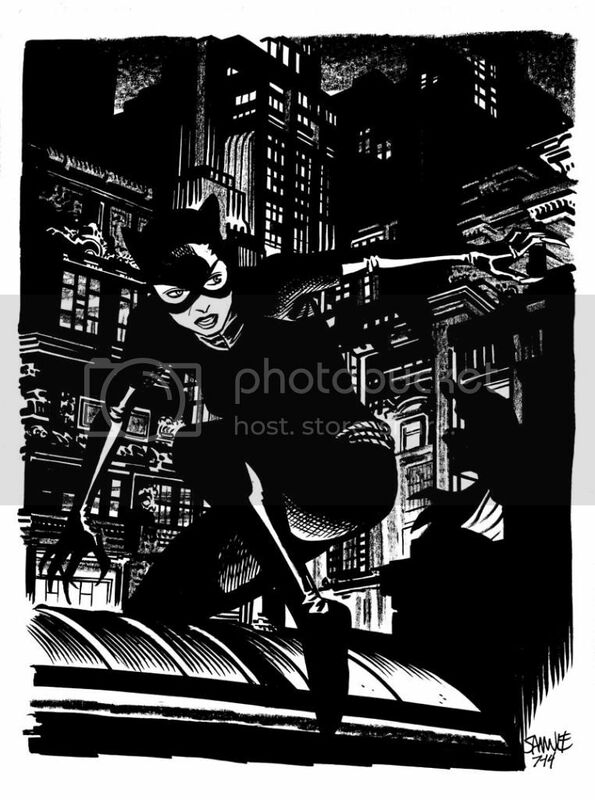 PS: Nice Batman in the background of the Catwoman piece. Ha ha! I had to blow up the pic to see the other guy in there. Wow, this is such a great piece! I dig the textures and pose. As far as suggestions go, I agree with Robert. An Orion piece would be cool. I'd also enjoy seeing a Red Tornado, Miss Martian, or Lord Death Man from the Japanese Batman series. After that recent Hulk pic that blew my socks of, I'd be interested to see how you'd approach Solomon Grundy as well. Hope these suggests help! :) Keep up the amazing work! Aw man, "Conduct Lionhardt!" Those are some great suggestions! The Question, Vigilante, & Mr. Freeze! How did I not think of those? !